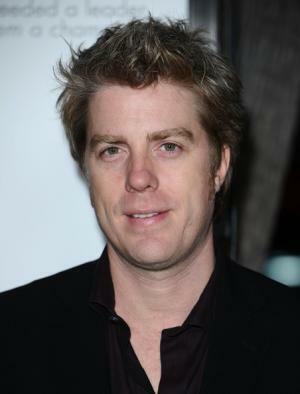 Kyle Eastwood was born on 19 May 1968, in Los Angeles, California, USA, the son of actor/director Clint Eastwood and Maggie Johnson, and is a musician, best known for playing bass guitar under the jazz genre. He has released several albums over the course of his career including “From There to Here” and “The View From Here”. All of his endeavors have helped put his net worth to where it is today. How rich is Kyle Eastwood? As of early-2017, sources inform us of a net worth that is at $10 million, mostly earned through a successful career in music. He’s known for playing various types of bass guitars, including an acoustic double bass and a fretless electric bass guitar. As he continues his career it is expected that his wealth will increase. Kyle grew up in a musically oriented family, with younger sister, actress Alison Eastwood and half-brother Scott Eastwood, listening to a lot of jazz music, legends such as Dave Brubeck, Miles Davis and Thelonious Monk. He also attended the Monterey Jazz Festival and met a lot of artists thanks to the popularity of his father. While attending high school, he started playing the bass guitar, and learned to play various genres, initially playing music by ear, and eventually started playing in gigs around Los Angeles as well as New York. He formed the Kyle Eastwood Quartet, and played in the event “Eastwood After Hours: Live at Carnegie Hall”. In 1998, he released his first album entitled “From There to Here” which consisted of both covers and original compositions; his net worth started to rise up at this point. Kyle then moved to the Rendezvous label and released two more albums in 2005 and 2006, entitled “Paris Blue” and “Now” respectively. A few of his recent releases include 2013’s “The View from Here”, and 2015’s “Timepieces”, both of which were released by the Jazz Village label. Aside from his albums and solo music work, Eastwood has also been known to contribute music to many of his father’s films; these have included “The Rookie”, “Mystic River”, “Letters from Iwo Jima”, “Invictus” and “Million Dollar Baby” among many more. He received a nomination for a Chicago Film Critics Association Award thanks to his original score for “Letters from Iwo Jima” alongside music partner Michael Stevens. Thanks to the numerous opportunities given to him, his net worth constantly increases. Other work that Eastwood has been a part of include being a voice artist. He is the voice of DJ Andy Wright in the video game “The Movies” and also the voice of “Daddy” in the PBS Ident “Daddy and Son”. He has had supporting acting roles too, in the 1982 Clint Eastwood film entitled “Honkytonk Man”, and other credits have included “J. Edgar”, “Summer Hours”, and “The Bridges of Madison County”, all adding somewhat to his net worth. For his personal life, it is known that Kyle married Cynthia Ramirez in 2014. They have a daughter and their marriage took place at “The Mission Ranch” which is his father’s hotel. 1 Grandson of Ruth Wood. 2 Ex-stepson of Dina Eastwood. 3 Ex-wife Laura Gomez is 10 or 13 years older than him, depending on the source. 4 His father was in London when he was born. 5 Brother-in-law of Stacy Poitras. 6 Ex-brother-in-law of Kirk Fox. 8 Recorded his album "Songs from the Chateau" (2011) over a 3-day period at the Chateau Couronneau in the Bordeaux region of France. 9 One of his all-time favorite music venues is the world famous Ronnie Scott's jazz club in London (UK). 10 Daughter, Graylen Eastwood, is a budding drummer. 11 Paternal half-brother of Kimber Eastwood, Scott Eastwood, Kathryn Eastwood, Francesca Eastwood and Morgan Eastwood. 13 Has a daughter, Graylen (b. 1994) and son, Adam (b. 2005) from previous relationships. 14 Older brother of Alison Eastwood. 15 Father is Clint Eastwood. Mother is Maggie Johnson. 17 Well known musician in the New York jazz community. J. Edgar 2011 performer: "Red Sails in the Sunset", "I Only Have Eyes for You"
Flags of Our Fathers 2006 performer: "Knock Knock", "Flags of Our Fathers" / writer: "Knock Knock"
Million Dollar Baby 2004 writer: "Boxing Baby", "Solferino", "Blue Diner"
Mystic River 2003 writer: "Cosmo", "Black Emerald Blues"
The Rookie 1990 writer: "Red Zone"